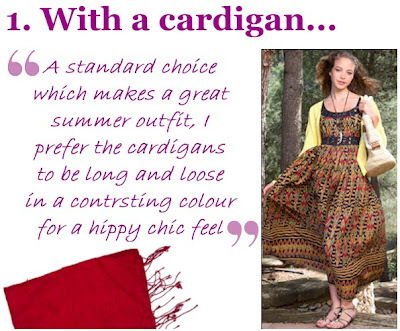 I think a long maxi dress with a cardigan is the cutest look ever! Rachel Pally always has great styles to choose from. babe! i love ur post here. 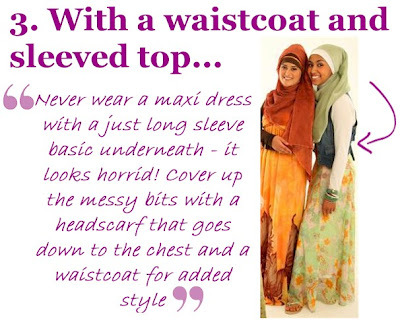 recently i buy many beautiful maxi dress but dunnoe how to style with muslimah's way. u gimme ideas! how do i cover my chest? Wonderful tips! I bought one today, and had the same idea about a cardigan and a jean jacket, but your pictures and layout is really the iceing on the cake! :) Bella! Nice tips to share, btw the long inner also very helpfull in certain cases. Do get multicolours inner to get various looks. 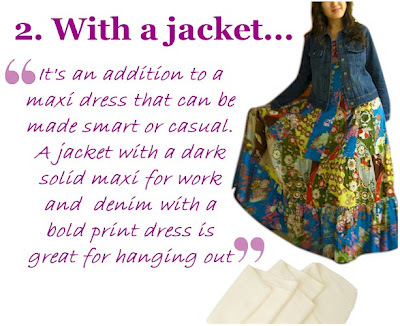 Come visit us for other tips and beautiful mix n match outfit. i already did all of these but the last one is AH-mazing! i have a jeans cardigan like like sleeveless and all but it isnt long and i didnt know how to wear it modestly. this is amazing im gonna go try right now!